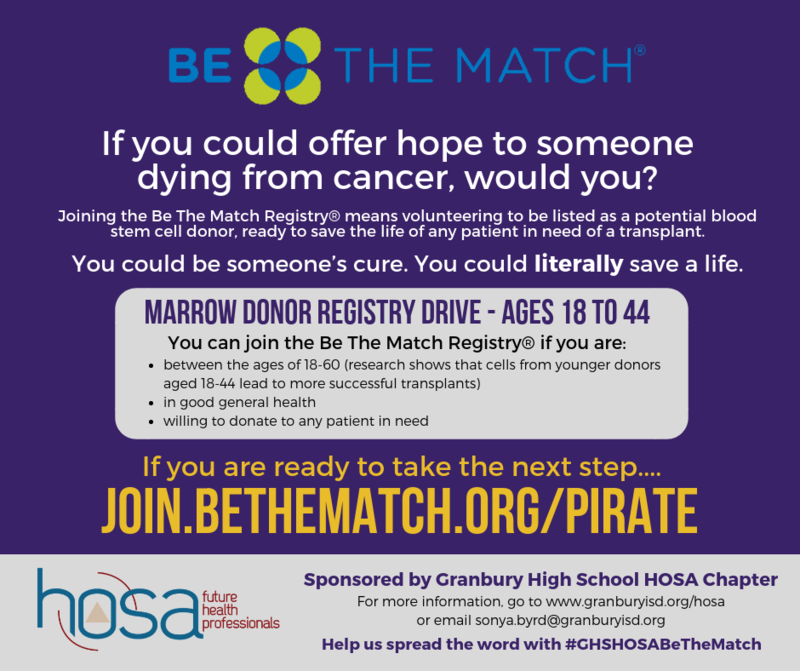 The HOSA-Future Health Professionals student organization at Granbury High School is sponsoring a marrow donor registry throughout October 2018. For thousands with blood cancers like leukemia or other diseases like sickle cell anemia, a marrow transplant is their only hope for life, according to Be The Match®. Most patients do not have a fully matched donor in their family. Registering is easy, according to HOSA sponsor and GHS health science teacher Sonya Byrd. The process is quick and done with a do-it-yourself kit with cheek swabs. Granbury students are willing to assist anyone who needs help, Byrd says. This includes coming to businesses or office with large groups. In addition, HOSA members will also be at the Granbury-Crowley football game on Friday, October 12 to distribute information about the program and to answer questions. Registrants are encouraged to use the hashtag #GHSHOSABeTheMatch to be entered in a drawing for a HOSA shirt. Candidates for the registry are (1) between the ages of 18-60, (2) in good general health, and (3) willing to donate to any patient in need. Patients aged 18-44 are the best candidates because research indicates that cells from younger donors lead to more successful transplants. Those with diverse ancestry are in special need because they are most likely to match someone who shares their heritage. 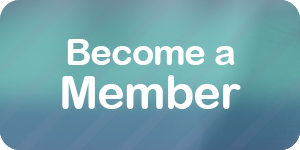 To make the best use of resources, those aged 45-60 are required to cover the $100 cost of joining. Registrants should keep in mind that they are not donating when they register. By joining the registry, individuals are volunteering to be listed as a potential blood stem cell donor, ready to save the life of any patient in need of a transplant. Not everyone on the Be The Match Registry® will match and be asked to donate to a patient, according to the organization. In fact, the chances of donating are about 1 in 430. The typical time commitment for the donation process is 20-30 hours spread out over a four-to-six-week period. This does not include travel time, which is defined by air travel and staying overnight in a hotel. Nearly 40% of donors will travel during the donation process. Over the past 30 years, Be The Match®, operated by the National Marrow Donor Program® (NMDP), has managed the largest and most diverse marrow registry in the world. Additional information is available at www.bethematch.org. HOSA is an international student organization to promote career opportunities in the health care industry and to enhance the delivery of quality health care to all people. Additional information about the GHS chapter is available at www.granburyisd.org/hosa.